HomeBlog & NewsStashgiving = Thanksgiving on Stash! Join us for Stashgiving to celebrate Stash’s first Thanksgiving weekend! Double resource drops from nodes. Pumpkin Pie: Delicious holiday food item that will randomly drop from all mob types. Max Health and Mana healing possible for level, and trains all stats! 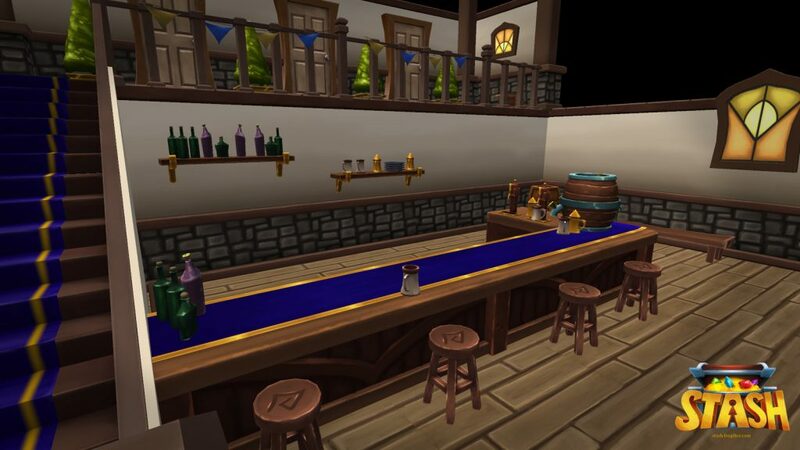 Rolling Stone Inn – a social gathering place in Askagard with a magical hearth that provides health and mana regeneration. Leaderboards – the debut of leaderboards that allow you to compete in many categories (level, crafting, gathering, and more) for all time, monthly, and weekly! Saturday, November 26 from 8pm to 10pm EST. The primary goal of this event is to get a lot of people online at the same time to get to know each other, make friends, invite people to clans, and meet people you can party with. We know this time doesn’t work for people in every time zone, but no time would so we are going with a known popular time for this first experiment. WE WILL DEFINITELY DO EVENTS IN THE FUTURE AT DIFFERENT DAYS/TIMES FOR PEOPLE OF ALL TIME ZONES! Giant Riding Pokka – Just for attending the event you will receive this unique mount that is 300% speed. Stash Development Roadmap – I will share the roadmap for upcoming development on Stash. What’s coming next? What’s coming over the next few weeks? Developer Q&A – Ask questions and we will do our best to answer. Meet Your Fellow Players – This is probably the most important thing about this event.